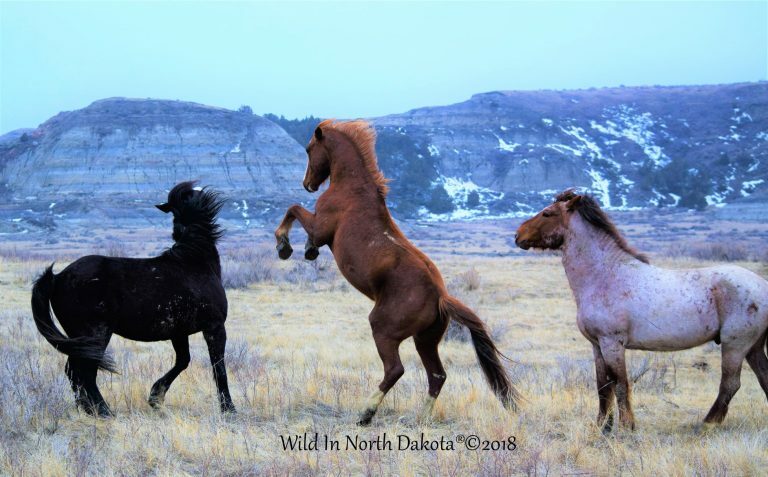 Thought you all might enjoy seeing this photo from out in the wild as it looks very similar to the photos I posted yesterday of Chip and Warrior playing for ranking here on our ranch. Looks like perhaps the same dynamic taking place here among 3 TRNP Bachelor Boys. Ollie Jr. was clearly the lead in this group and has now taken over Cocoa’s Band. We’ll have to watch to see how long and if that lasts! The other two, Maverick (black) and Flash were playing and it seemed Flash had something to prove likely because Maverick holds a higher order than him. Regardless, these are the games that boys play no matter where it is they call home! Speaking of home, I am finally back to our ranch and will get into my pictures from the latest trip real soon and share them with all of you! It’s good to be home on the range for now but I always leave a little bit of my heart out in TRNP with every trip! Enjoy this look through my eyes and stay tuned for more to come! Make it a great weekend everyone!